However, the segment also requests that “[t]hose who establish religious venues without authorization, or non-religious groups, non-religious institutions, non-religious venues, non-religious temporary venues, religious activities, and religious donations” and those who “[o]rganize citizens to participate in religious training, conferences, pilgrimages, etc. without authorization, or conduct religious education and training without authorization” also be reported. Those who provide substantiated tips can be rewarded between 100 and 1,000 yuan (approximately $15 to $150 dollars), and those who assist with “the seizure of the leading elements of illegal religious organizations abroad, ascertaining the organization structure and key personnel of the organization,” can be rewarded between 5,000 to 10,00 yuan (approximately $745 to $1,500). Read the notice in full here. Ying Fuk-tsang, director of the Divinity School of Chung Chi College at the Chinese University of Hong Kong, told the South China Morning Post that he believes the development will have additional adverse effects on the house church movement—those who refuse to register with the government-recognized and regulated Three-Self Church—as Christians will now need to fear being turned in by their neighbors. The South China Morning Post also reports that while Guangzhou is the first metropolitan area to offer rewards for “illegal religious activities,” smaller municipalities have had similar incentives for some time. The outlet Bitter Winter, which focuses on religious liberty violations in China, noted earlier this month that a reporting box had been set up outside of the Caizhuang Village Committee Office and the Chenzhuang Village Committee Office in Mangzhongqiao Township. “Box for reporting private [meeting] venues and missionary activities,” one of the boxes reads. It is believed that China is seeking to “sincize” religion, or bring it under more of a Chinese spirit, and without influence from the West. The continued crackdown has raised concern, not only about the future of the house church movement, but also the ability to conduct missions work in the country. “This is the worst it’s been in 30 years. 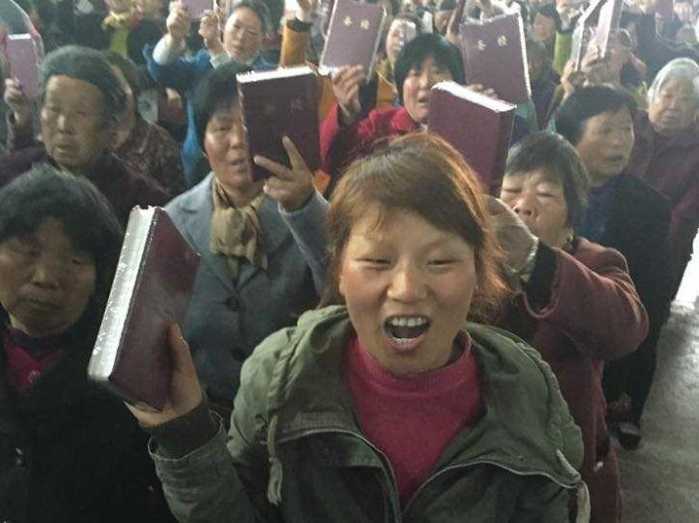 The pressure from the government is immense right now; everything from putting church members in jails to kicking out vast numbers of missionaries to actually demolishing one entire church is happening,” Joe Handley of Asian Access recently told Mission Network News.